Dr Liz Gordon a social researcher, who is also president of PILLARS, a group helping prisoners' families, said the average number of murders in New Zealand each year was about 80. "The mathematics simply doesn't add up. They're not going to all get out of the prisons and start murdering like mad and if you find good alternatives for them, perhaps you can actually stop them ever having to go to prison again." 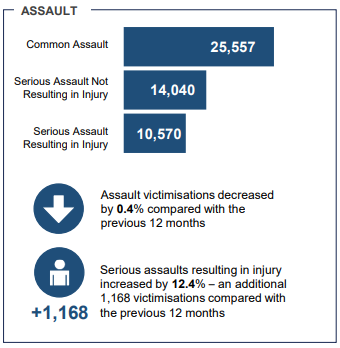 Some portion of the 'serious assaults resulting in injury' could have become murders. In fact there is a school of thought among criminologists that the murder rate today would be higher if not for new life-saving technology. The same applies to the road toll. If she wants to measure risk, it's not the outcome Ms Gordon should be counting, but the intent.